Can you believe it is the second week of September already? That means I'm up at the Muse Card Making Club!! So happy to be playing cards with you today. 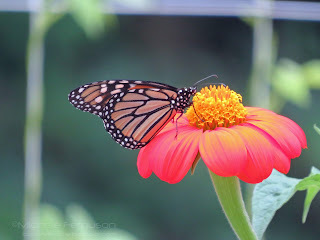 Tom [my husband] and I have been 'blooming' butterflies for the last month or so. It is getting so cold at night here in Michigan, we've resorted to bringing the box in at night. I was delighted to watch #34 bloom mid-afternoon. So, in her honor, I decided to use this lovely Hero Arts stamp-n-cut specimen. with a sentiment on a tag! See you in the gallery! 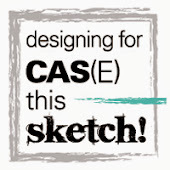 I cannot wait to see your version of a not-so-CAS card! 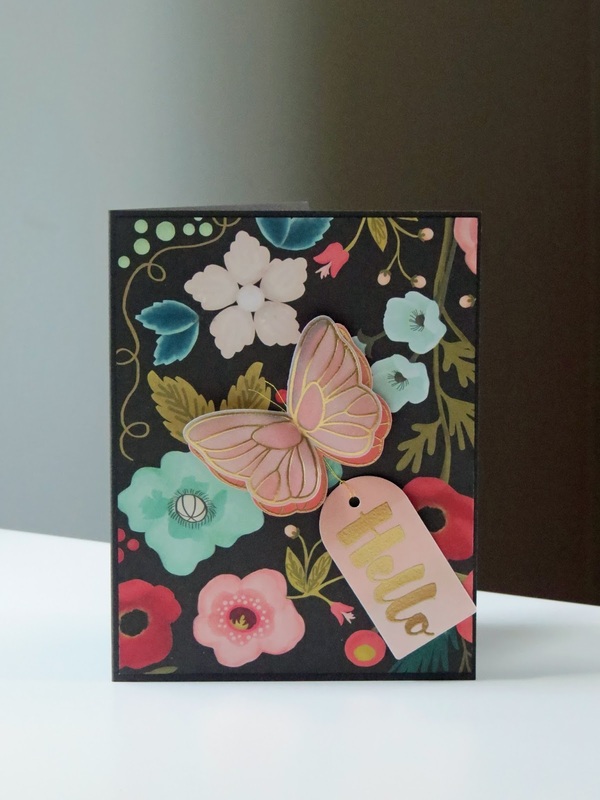 Gorgeous card Michele - love the richness of the paper design and the gold embossed butterfly! Thanks for rising to the challenge - can't wait to see how everyone is inspired by this beauty! Fab card Michele, I really should use some of that DP mountain! Oh my goodness, this is gorgeous Michele!! The paper is wonderful but I am in love with the delicate golden butterfly!! Beautifully done my friend, beautifully done!! Wow this is sure a beauty Michele ,and my challenge is to even find any patterned DP paper!DP is like embossing folders only like them if they are stripes dots etc ...mmm thinking cap time I fear! Well beautiful! I absolutely love this...might just have to CASify it :) The gold is stunning against the background. Oh my!! this is absolutely STUNNING!!!! The gold on the vellum butterfly-just beautiful. I LOVE the way you used that patterned paper in the background. So bold yet so fitting with the theme!!! LOVELY card for the MUSE! Your latest butterfly is stunning! I love seeing the underside of the box, too...it's so exciting! Love your gorgeous flower, too! Love love love this STUNNING card! The paper makes it amazing!! Michele....this is just stunning! I can't wait to play along. Wonderful inspiration! Michelle, i love love this card. Looks like you may have done a little copic colouring on there or its just that perfect. The two butterflies, wow. Cant wait to try this one. Thanks.for the reminder to me of the butterfly and the hope that they fill my heart with!! Beautiful card - live the bold, vibrant, excellent paper you have chosen. So amazing and fun to see your pictures too!! What a treat - hope you have a beautiful Tuesday!!! This card needs to be described as breathtakingly beautiful Michele. Job well done! The gold embossed butterfly is beautiful but I am sure watched nature unfold is beautiful too! Wonderful Muse card! Well, this is absolutely stunning Michele! Love that background and the butterfly is gorgeous.. this is a wow card for sure! now this is one beautiful card! What beautiful paper! I've got a piece paper pieces that I've been dying to use but haven't fallen into any of my CAS designs, so I might just have to pull them out for this one. Your card is sensational!! I could have sworn I commented on this card when I first saw it at Muse and fell in love with that paper but I guess not. The paper, and the resulting, card, are simply gorgeous, Michele. Your card is absolutely DIVINE Michele and love seeing where your inspiration came from! Just about to skid under the door at Muse before the gates shut! Beautiful paper and design Michele. I bet you inspired some fabulous entries. What to say, except this is a card of immense beauty, amplified by the lovely touch of the butterfly you added to the oh-so-pretty paper. Breath-taken-away! I didn't play *hangs head in shame*: crazy week, bike races all weekend and no paper anywhere near as gorgeous as this! Guess I owe you two helpings next time you a-MUSE us! Final card for the Fall Coffee Lover's Bloghop! The Challenge - Theme - Birthday!!! Seems I missed it! Edit!! 2015 Fall Coffee Lovers Blog Hop!!! The Card Concept #40 - Forest Friends! The Challenge - Inspiration Week! Another 1st - a tutorial! MFT Superstar - Take Two! I Want to be a Superstar!